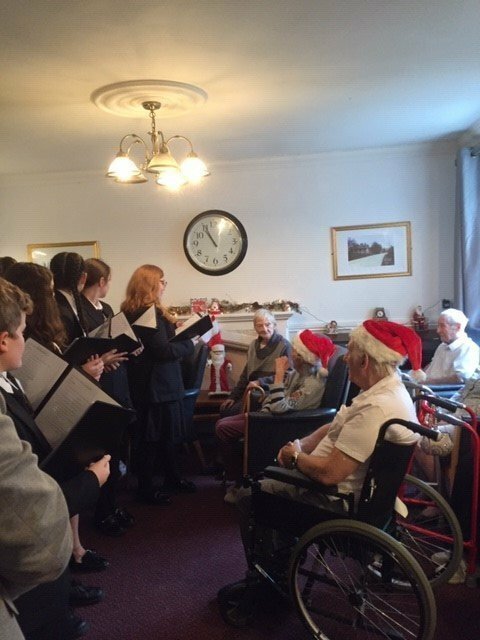 Our residents at The Grange enjoyed a busy and happy Christmas in the company of their families, friends and carers and would like to share some photographs of their entertainment and activities during the festive period. Beauchamps High School came to entertain us with their school choir at Christmas. We had a visit from our local Church choir. Children from the Church of England Nursery School came to sing carols for us. 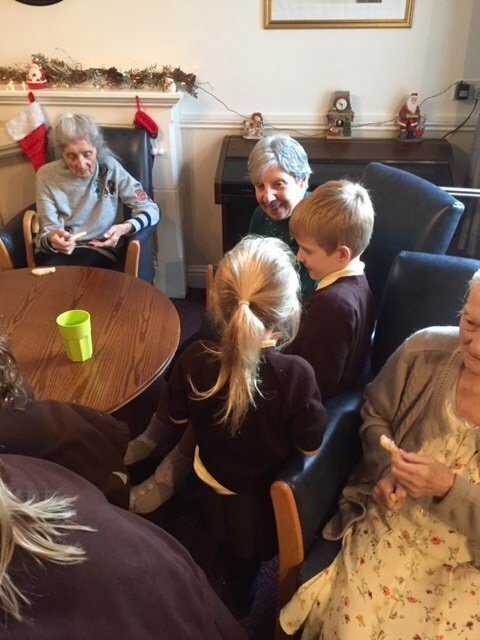 They made cards and biscuits and spent some time reading books with our residents. Here at The Grange we have our very own choir. We had been rehearsing for months so that we could put on a show for our families and friends. 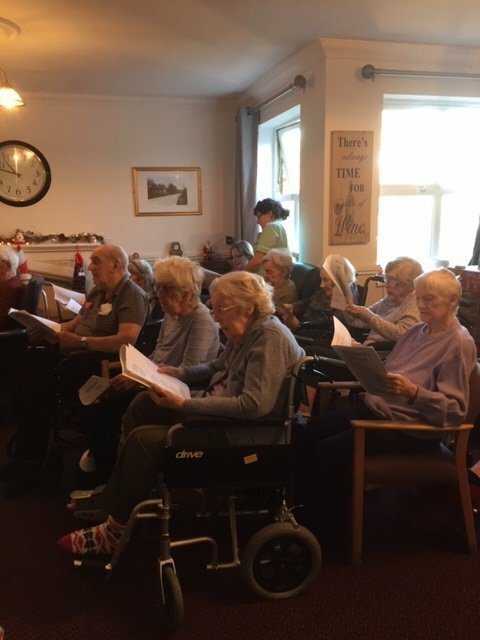 Each and every one of our residents worked very hard to put on this performance, together with three members of staff, Trish Rowe, Dawn Attfield and our Activity co-ordinator, Catherine Sahadevan. The show was a sell out and there wasn't a dry eye in the home after we had finished. We sang for an hour and it sounded beautiful. Each resident had their own tee shirt made and all sang their hearts out! You could not capture in a photograph the joy that this brought to our loved ones, the staff and the residents. For more information about The Grange, a residential care home providing 24-hour expert care for older people, including those living with dementia, please call 01268 766466, email thegrange@runwoodhomes.co.uk or click here to visit the web page.